Casino, Palais des Pyrénées, Centre Bosquet, etc. 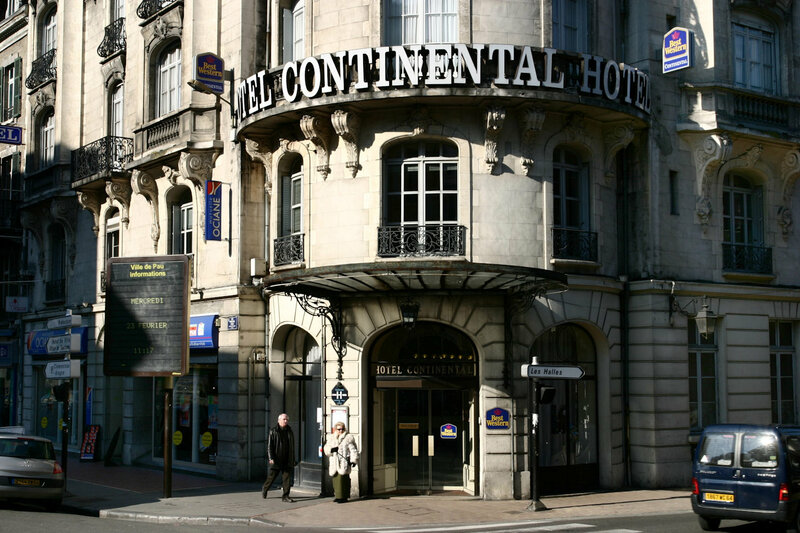 If you encounter a bollard, mention you are a guest of the BEST WESTERN CONTINENTAL HOTEL. You can park your car in front of the door of the hotel to drop off luggage and receive the covered parking entry code. GPS : Type rue 2 Samonzet in Pau and you will arrive right at the front door of the hotel. Take the funicular (cable car) in front of the railway station and then take a 10 minute walk to the hotel. "Bosquet" stop (after a 5 minutes drive) The distance from the bus stop to the hotel is about 100 meters. Take bus number 20 direction to "Pau - Gare SNCF"
Leave the bus at the " Bosquet" stop. The distance from the bus stop to the hotel is about 100 meters.